It is indeed an old idea in Imamite history that one Imam from the progeny of the Prophet would go into hiding to prepare for the day when he would rise again under the title al-Qaâ€™im al-Mahdi and fill the world with justice. The concealment (al-Ghayba) was considered a sign of the true al-Qaâ€™im al-Mahdiand both before and after the occultation of the Twelfth Imam in 260/874. Many Shiâ€™ite writers collected traditions attributed to the Prophet and the Imams concerning this issue. 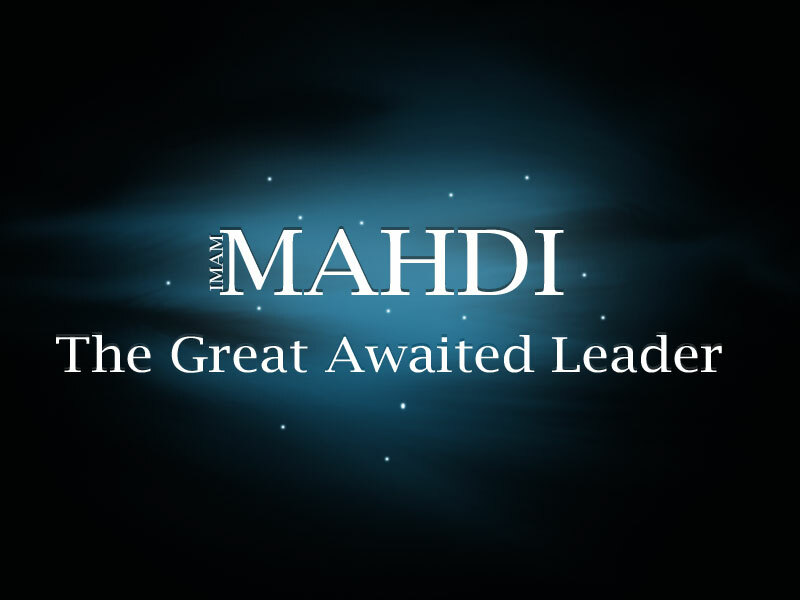 These traditions were used by many Shiâ€™ite groups to back up the claims of their leaders who aspired to power by adopting the title of al-Qaâ€™im al-Mahdi. Before 260/874 they were used even by some Imamites themselves as evidence that one or another of their deceased Imams was in fact al-Qaâ€™im al-Mahdi. Finally the same traditions have been used by the Imamites to support their claims that the Twelfth Imam was al-Qaâ€™im al-Mahdi himself. These works on the subject of the Ghayba can be divided into three groups based on the dates of their authorship. The Imamite scholars wrote about four hundred books (al-Usul al Arba`mi’a)during the lifetimes of the first eleven Imams. Some of these dealt with the subject of the Imam’s concealment, recording traditions on the authority of the Prophet and the Imams predicting that an Imam would go into occultation. These traditions, however, neither named the Imam nor fixed the time at which his occultation would begin. The ambiguity of these traditions encouraged many Shiâ€™ites to apply them to different Imams. Hence the Waqifa sect held that Musa al-Kazim, the seventh Imam, was the hidden Imam whereas al-Imamiyya al-Qat`iyya and al-Zaydiyya al-Jarudiyya held that the hidden Imam would be the Twelfth, but they did not identify him by name. Despite the fact that a great majority of these early works are not extant, it appears that during the fourth and fifth centuries the Imamite authors based their works concerning al-Ghayba on these early writings. The following works are examples of the Waqifite, Zaydite and Imamite views on this matter. 1. Al-Anmati Ibrahim b. Salih al-Kufi, was a companion of the fifth Imam, al-Baqir (d. 114/732). He wrote a book entitled al Ghayba which represents the Waqifite point of view, although the information he gave was used by such later scholars as Ahmad b. `Ali b. Nuh (d. before 423/1031) and al-Tusi to support the Imamite view. 2. 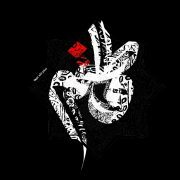 Al-Ta’i al-Tatari, ‘Ali b. al-Hasan, was a companion of the seventh Imam, al-Kazim (d. 183/799), whom he named as the hidden Imam. In defence of his view he wrote Kitab al-Ghayba, which became the framework for the works of later Waqifite authors like Ibn Suma`a (d. 263/877) on this issue. 3. Al-Hasan b. Muhammad b. Suma`a, composed a book on al-Ghayba, following the footsteps of his Waqifite teacher al-Ta’i al Tatari. However, those Imamites who lived during the period from 260-329/874-940-1, like al-Hasan al-Saffar (d. 292/904) and al Kulayni (d. 329/940), used his information to support their claim that the hidden Imam was not the seventh Imam but the Twelfth Imam. Abu Said `Abbad b. Ya`qub al-Rawajini al- `Asfari (d. 250/864) was one of the leading scholars of the Shiâ€™ite sect al-Zaydiyya alJarudiyya. 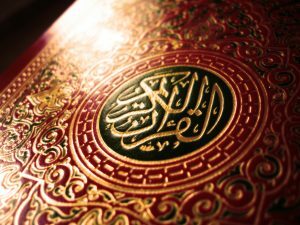 He compiled a book of traditions entitled Kitab Abu Said al- Asfari. The importance of this work is that its author cites a tradition referring to the occultation at least ten years before its occurrence. He also mentions other traditions which point to the fact that the number of the Imams would end with the Twelfth Imam and that he would be al-Qaâ€™im. However in contrast to the Imamites he does not mention the names of the twelve Imams. Al-`Asfari’s work along with the works of Sulaym b. Qays (d. 8090/699-707) and al-Hasan b. Mahbub al-Sarrad (d. 244/838) were used extensively by such Imamites as al-Kulayni (d. 329/941), al Nu’mani (d. 360/970) and al-Saduq (d. 380/991) to prove the existence of the Twelfth Imam and his subsequent occultation. 1. `Ali b. Mahzayar al-Ahwazi was a close associate of the ninth Imam, al-Jawad. He was appointed by the latter as his representative in al-Ahwaz and continued to remain in office throughout the reign of the tenth Imam, al-Hadi. He wrote two books, called Kitab al-Malahim and Kitab al-Qaâ€™im, both dealing with the occultation of the Imam and his subsequent rising with the sword. 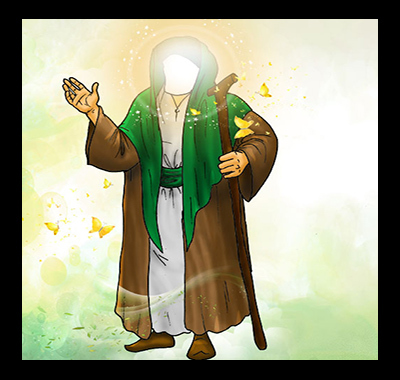 Then between the years 260/874 and 329/940 his two sons Ibrahim and Muhammad became the authorised representatives of the Twelfth Imam in al-Ahwaz. It is on their authority that al-Kulayni and al-Saduq give important information concerning the communication methods employed in the underground activities of the Imamites. 2. In his work on the subject of al-Ghayba called al Mashyakha, al-Hasan b. Mahbub al-Sarrad (d. 224/838) records several anedoctes which are often attributed to the Imams. This work has been lost but several quotations from it are included in the available Imamite sources. 3. Al-Fadl b. Shadhan al-Nisaburi (d. 260/873) was a wellknown Imamite scholar and secured the trust and the praise of the eleventh Imam. He also compiled a book called al-Ghayba, but most of its material seems to have been quoted from the work of al-Hasan b. Mahbub. Since al-Fadl died two months before the death of the eleventh Imam in 260/874, the importance of his work lies in the traditions he recorded indicating that the Twelfth Imam would be al-Qaâ€™im. Many later writers like al-Tusi in his own work entitled al-Ghayba, relied on al-Fadl’s work. Baha al-Din al-Nili (d. 790/1388) also compiled a work entitled al-Ghayba by summarising al-Fadl’s work. Despite the fact that the actual work of al-Fadl is lost, the works Kifayat al-Muhtadi fi Ma`rifat al-Mahdi by Mirlawhi (d. 12th/18th century) and Kashf al-Astir by Mirza Husayn al-Nuri (d. 1320/1902) seems to be copies of his work. Therefore it is not unreasonable to make use of these later sources for our present purposes. 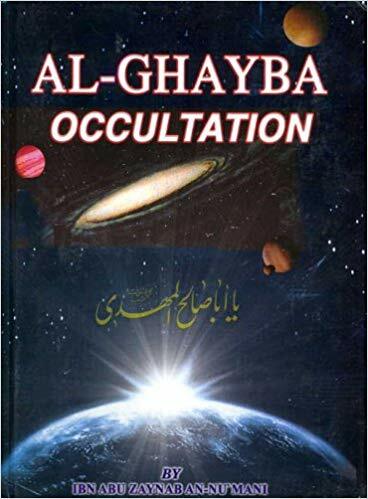 During the years of the short occultation (260-329/874-941) many books reflecting different views were composed on the question of al Ghayba. These were mainly collections of anecdotes based on works written before 260/874. Their authors were either jurists or propagandists and they participated in the activities of the underground organization of the Imamites led by the Twelfth Imam himself. Thus they recorded important information, which cannot be found in books on history compiled during the same period. 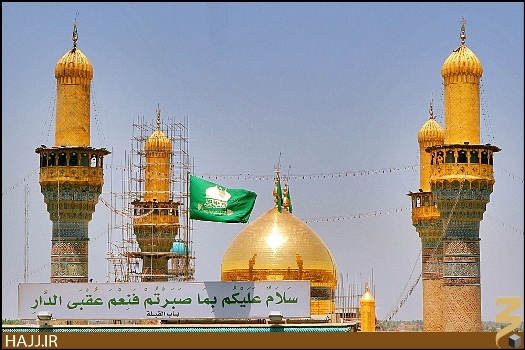 In 262/876, Ibrahim b. Ishaq al-Nahawandi (d. 286/899) claimed to be the representative of the Twelfth Imam in Baghdad. He composed a book about the Ghayba reflecting the view of the extremists (al-Ghulat). Later al-Nu`mani (d. 360/970) used al Nahawandi’s information extensively in composing his well-known book al- Ghayba. `Abd Allah b. Ja`far al-Himyari (d. after 293/905) wrote a book entitled al-Ghayba wa-l-Hayra. The importance of his work lies in the fact that he was one of the close associates of the tenth and the eleventh Imams and later became the agent of the first two deputies (Safâ€™irs) of the Twelfth Imam. Unfortunately this work and the work called al-Imama wa-l-Tabsira min al-Hayra by Ibn Babawayh (d. 329/940) are not extant. However, the latter’s son, al-Saduq (d. 382/991) and al-Tusi (d. 460/1067) made thorough use of these works. Al-Kulayni (d. 329/940) devoted much space in the section entitled al-Hujja of his book al-Kafi to the question of the occultation. He backs up this study with important information on the general situation of the Imamites between the years 260-329/874-940 with special emphasis on the role of the Safâ€™irs of the Imam in this period. He recorded many traditions attributed to the Imams concerning the concealment of the Twelfth Imam. He quoted this information from the earlier Waqifite and Imamite authors like al-Hasan b. Mahbub (d. 224/838), `Abbad b. Ya’qub al- `Asfari (d. 250/864) and al-Hasan b. Suma`a (d. 263/877). Moreover the agents of the Twelfth Imam were the main source of his information on the underground activities of the Imamites. The occurrence of the second occultation in 329/941 led to a state of confusion among the Imamites. Hence several works were composed to justify the Twelfth Imam’s occultation and to explain the reasons for its prolongation. Five works of this period can be considered the basis for all later Imamite opinions concerning the occultation. Since these primary sources have been widely used in this book, it is worth evaluating the information they contain in some detail. 1. Al-Nu`mani, Muhammad b. Ibrahim b. Ja`far, known as Ibn Abi Zaynab, was a native of the town of Nu`maniyya, one of the districts of Wasit. He moved to Baghdad where he was educated in Hadith transmission under the supervision of al-Kulayni (d. 329/940) and Ibn `Uqda (d. 333/944). He then went to Syria where he died around the year 360/970. Because of the confusion which had spread amongst the Shiâ€™ites after the death of the eleventh Imam, al- `Askari, in the year 260/874, al-Nu`mani wrote a book entitled al-Ghayba. He tried to prove the necessity of the Twelfth Imam’s occultation by relating traditions on the authority of the Prophet and the Imams predicting its occurrence. He acquired most of his information from early authors who wrote on this subject, irrespective of their doctrinal views. Among such early authors are al-Hasan b. Mahbub, an Imamite (d. 224/838), al Fadl b. Shadhan, an Imamite (d. 260/873), al-Hasan b. Suma`a, a Waqifite (d. 263/877), Ibrahim b. Ishaq al-Nahawandi, an extremist (d. 286/899), al-Kulayni, an Imamite (d. 329/940), the well-known Zaydite jurist Ibn `Uqda (d. 333/944), and al-Mas’udi (d. 345/956). Al-Nu’mani’s outstanding contribution was that he was the first compiler after al-Mas`udi (d. 345/956) to give an interpretation of those traditions attributed to the Imams by al-Kulayni, which indicated that al-Qaâ€™im would have two occupations, the first short and the second long. Al-Nu’mani stated that the first occultation was the period of the four representatives of the Twelfth Imam, lasting from the year 260/874 until the year 329/940-1, and that the second began after the death of the fourth Safâ€™ir in 329/941. Some of his remarks reflect how the complete occultation of the Twelfth Imam threw the Imamites into confusion and caused a massive decrease in their numbers. His interpretation became the basis for all later Imamite works on this subject. 2. Muhammad b. `Ali b. Babawayh, who is better known as al-Saduq (d. 381/991), wrote a book on the question of the Ghayba entitled Kamaâ€™l al-Di’n wa Tamam al-Ni`ma. The information contained in this work is valuable because al-Saduq relied on the Shiâ€™ite primary sources (al-Usul) which had been compiled before 260/874. Thus we find that he often refers to the authors al-Hasan b. Mahbub, al-Fadl b. Shadhan, al-Hasan b. Suma`a, al-Saffar, alHimyari and his own father, Ibn Babawayh, who had close ties with the third and fourth Safâ€™irs of the Twelfth Imam. Because his father was an eminent jurist and the Imam’s agent in Qumm, al-Saduq was able to give reliable information regarding the underground communications between the agents and the Imam via his four Safâ€™irs. However, a study of the chain of transmitters (isnad) of some of his reports concerning the birth of the Twelfth Imam indicates that al-Saduq obtained his information from extremists such as Muhammad b. Bahr. Consequently, one must be careful in using these reports. 3. Muhammad b. Muhammad b. al-Nu`man, who is known as al-Mufid (d. 413/1022), was at one time the leader of the Imamites. During this time the question of the occultation began to penetrate theological discussions. Hence he wrote five articles in defence of the occultation of the Twelfth Imam and also compiled an independent work entitled al-FUsul al-`Ashara fi al-Ghayba. Despite the dogmatic approach of this work, it records valuable information concerning the historical circumstances surrounding the disappearance of the Twelfth Imam before 260/874. Al-Mufid also presents an exposition similar to that of al-Nawbakhti and Sa’d al-Qummi putting forward the fifteen different views held by the Imamites after 260/874. Al Mufid bore witness to the disappearance of all fifteen groups by 373/983, except the Twelvers who believed that their leader was the Twelfth Imam and that he was in concealment. In his book al-Irshad, al-Mufid follows the method employed by al-Kulayni and alNu’mani in the narration of Hadith, first of all by proving the existence of the Twelfth Imam and then by vindicating the prolongation of his age beyond the life-span of an ordinary person. 4. After al-Mufid his two eminent pupils ‘Ali b. al-Husayn, better known as al-Murtada (d. 436/1044), and Muhammad b. ‘Ali al-Karajaki (d. 449/1057), followed his rational approach in their treatises on the prolongation of the Twelfth Imam’s concealment. This approach is clear in the extant article of al-Murtada which was published in Baghdad in 1955 under the title Masa’la wajiza fi al Ghayba and translated into English by Sachedina. In 427/1035 al Karajaki compiled a work entitled al-Burhan `ala Sihhat Tul `Umr al Imam Sahib al-Zaman, in which he mentions many people whose ages had been prolonged beyond the life-span of an ordinary person. His aim in this was to prove, like al-Saduq and al-Mufid before him, that the prolongation of the Twelfth Imam’s life during his occultation was not an extraordinary phenomenon. On account of the dogmatic approach of these two works they are devoid of any historical information concerning the actual career of the Twelfth Imam between the years 260-329/874-941. 5. The well-known Imamite scholar Muhammad b. al-Hasan al-Tusi (d. 460/1067) deals with the question of the Ghayba of the Twelfth Imam in most of his dogmatic works. But the most important of these is Kitab al- Ghayba, in which he makes use of both tradition and reason to prove that the Twelfth Imam was al-Qaâ€™im al-Mahdi, and that he must be in a state of occultation. Through his refutation of the other Shiâ€™ite claims, which held that â€˜Ali b. Abi Talib (d. 41/661), Ibn al-Hanafiyya (d. 84/703), al-Sadiq (d. 148/765), Muhammad b. Isma’il, and al-Kazim (d. 183/799) were al-Qaâ€™imand that they were in hiding, he suggests that the traditions concerning the occultation go back to the time of ‘Ali. Al-Tusi also provides reliable historical information on the underground activities of the four representatives of the Twelfth Imam, quoting from a missing book entitled Akhbar al- Wukala’ al Arba’a by Ahmad b. Nuh al-Basri. Al-Tusi’s work became the main source for all the later Imamite writers regarding the concealment of the Twelfth Imam, particularly al-Majlisi (d. 1111/1699) in his work Bihar al-Anwar. A contemporary of al-Kulayni was Abu al-Qasim al-Balkhi, a Mu’tazilite, who died around the year 301/913. He held that the eleventh Imam had died heirless and gave expression to these opinions in his work al-Mustarshid, which is a refutation of Ibn Qubba’s book al-Insaf. Unfortunately his work has been lost. However judging by the quotations recorded in the book al-Mughni by al-Qadi `Abd al-Jabbar (d. 415/1024), it appears that al-Balkhi relied on al-Hasan al-Nawbakhti (d. ca. 310/922) for information concerning the divisions among the Imamites after the year 260/874. As for al-Ash`ari (d. 324/935), he depended on al-Balkhi for his information about the Imamites. In fact after al-Ash’ari’s conversion to the group of Ahl al-Hadith, later to be the Sunnites, his books became the main source for the later Sunnite writers, such as al Baghdadi (d. 429/1037) in his work al-Farq bayn al-Firaq , the writer Ibn Hazm (d. 456/ 1063) in his work al-Fasl fi al-Milal wa-l-Ahwa’ wa l-Nihal and later al-Shahristani (d. 548/1153) in his work al-Milal wa l-Nihal. However the information contained in the latter works concerning the Imamite schisms after the death of al- `Askari is so far removed from the original expostion of al-Balkhi and al-Nawbakhti that one has to be careful about relying upon it. Among the primary sources of this study are the books of al-Rijal, which deal with the scientific biographies of the narrators and compilers of traditions by estimating the degree of their authority and deducing their reliability from their dogmatic and political inclinations. The Imamites compiled four main biographical works concerned with the domain of the present study in the 4th-5th/10th-11th centuries. 1. The first is Ma’rifat al-Naqilin `an al-A’imma al-Sadiqin, compiled by Muhammad b. `Umar al-Kashshi. He was a native of the town of Kashsh near Samarqand, where he was brought up under the auspices of the Imamite scholar Muhammad b. Mas’ud al Samarqandi and where he spent the whole of his life. According to al Tusi he died in 368/978. Al-Kashshi quoted his information from fifty-three narrators, but his main source was `Ali b. Muhammad b. Qutayba of Nishapur, who was contemporary with the short occultation and had close ties with the agents of the Twelfth Imam in Khurasan. Ibn Qutayba provides important information concerning the evolution of the underground organization of the Imamites (al-Wikala) after al-Sadiq (d. 148/765) and the reason behind the rise of the Waqifite groups after the death of the seventh Imam in 183/799. Al-Kashshi’s work became an important source for later Imamite scholars like al-Tusi (d. 460/1067), who summarised it and gave it the title Ikhtiyar Ma`rifat al-Rijal. 2,3. Al-Tusi’s works, al-Fihrist and al-Rijal, are two of the four main Imamite books of al-Rijal. He cites different chains of transmitters (isnad) regarded as authentic and enables us to discover the links between the Imamite scholars and the agents during the short occultation. 4. The fourth Imamite work on al-Rijal is Fihrist Asma’ Musannifi al-Shi`a, which was written by Ahmad b. ‘Ali al-Najashi (d. 450/1058), a native of Kufa. He received his Shiâ€™ite education there and then moved to Baghdad, where he was one of the leading Imamite scholars along with al-Murtada (d. 436/1044). His residing in these two cities enabled him to establish close contact with fortyfive Imamite scholars who had in their possession documents related to the period of the short occultation. These documents cast light on the different ranks within the Imamite organization and provide useful information on works on the Ghayba compiled before and after 260/874. Al-Barqi (d. 278/891), in his work on al-Rijal, provides valuable reports concerning the relationship between the Imams and their followers in particular the tenth and eleventh Imams, since he was their contemporary. Despite the fact that the work of al-Dhahabi (d. 748/ 1347) entitled Mizan al-I`tidal is a later source, it contains some reports which elucidate the background of the Ghayba and its connection with the rise of al-Qaâ€™im. Al-Tabari (d. 310/922) lived during the periods of the short occultation. His work Tarikh al-RUsul wa-l-Muluk is devoid of any information on the activities of the representatives of the Twelfth Imam, which points to the fact that their activities were underground. However he does follow the militant activities of the other Shiâ€™ite groups like the Qaramita and the Isma`ilis until the establishment of their state in 296/908. He also traces the use of the prophetic traditions regarding al-Qaâ€™im al-Mahdi by these groups in their struggle for power during the time of the short occultation. Al-Mas’udi (d. 346/957) lived during the period of the second occultation and provides important information regarding the harsh treatment of the Imams and their followers by the `Abbasids and the effect of this policy on the occurrence of the Ghayba. This can be found in his works, Muruj al-Dhahab, al-Tanbah wa-l-Ishraf and Ithbat al-Wasiyya (attributed to him). In his work al-Kamil fi al-Tarikh, Ibn al-Athir (d. 630/ 1232) provides a useful report concerning the schisms among the agents of the Twelfth Imam and the role of the extremists in these schisms, especially al-Shalmaghani. It is possible that Ibn al-Athir quotes his information from an Imamite work entitled Tarikh al-Imamiyya by Yahya b. Abi Tay (d. 630/1232). Unfortunately, however, this work is not extant. Many other historical and geographical works and books of traditions have also been used in the present study. Before they have been employed, they have been considered with the same critical method as that used above. Ahmad b. al-`Abbas al-Najashi, Kitab al-Rijal (Tehran, n.d.), 12, 19; Muhammad b. al-Hasan al-Tusi, al-Fihrist (Mashhad, 1972), 14; Ibn Dawud al Hilli, Kitab al-Rijal (Tehran, 1964), 15, 416.
al-Najashi, 193; T. al-Fihrist, 216-7.
al-Najashi, 32-3; T. al-Fihrist, 97-8. Muhammad b. Ya’qub al-Kulayni, al-Kafi fi `Ilm al-Din (Tehran, 1381), I, 335-6; al-Najashi, 39.
al-Najashi, 191; T. al-Fihrist, 226.
 al-Galbagani, Muntakhab al-Athar (Tehran, n.d.), 467. Buzurg, al-Dhari`a, XVI, 82; al-Galbagani, op.cit., 467.
 al-Majlisi, Bihar al-Anwar (Tehran, 1395), LI, 300-1. N.al-Ghayba, 143, 156, 163, 185. Kamaâ€™l, 127, 133, 187, 211, 222, 174, 381. Sachedina, A Treatise on the Occultation of the Twelfth Imamite Imam, Studia Islamica (Paris, 1978), XLVIII, 117-24.
 al-Qadi `Abd al-Jabbar, al-Mughni fi Abwab al-Tawhid, al-Imama (Cairo, 1963), II, 176, 182.
 al-Baghdadi, al-Farq bayn al-Firaq (Beirut, 1973), 24, 51-2. Ibn Hazm, `Ali b. Muhammad, al-Fasl fi al-Milal wa-I-Ahwa’ wa-l-Nihal (Cairo, 1317-21), IV, 180, 188; al-Shahristani, al-Milal wa-l-Nihal (London, 1864),128.